Join us May 4th for the SBA Health, Beauty & Wellness Fair! The annual holiday and tree lighting family event in Boniface Circle in Scarsdale Village, on Friday, November 30. This event promises to be even bigger and better than every year with more singers, food, and lights! Plus all the old favorites including Santa arriving in style on a fire truck, and hot chocolate courtesy of Lange’s Delicatessen. Martine’s was featured on HBO’s “Comedians in Cars Getting Coffee” afterward The Journal New’s Jeanne Muchnick, decided to try it. The Scarsdale Business Alliance (SBA) is a new, non-profit organization dedicated to supporting the Village of Scarsdale and its local businesses. 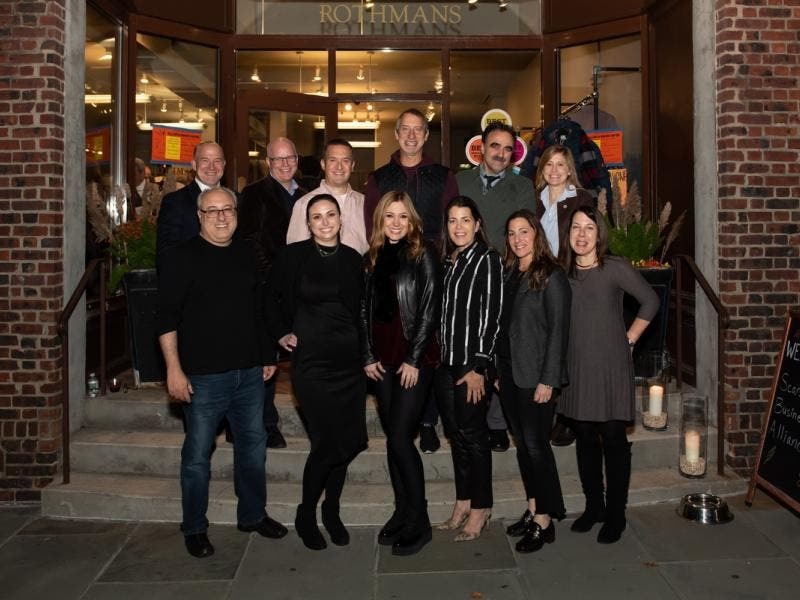 On Thursday night, October 25th at Rothmans of Scarsdale, more than 50 people gathered to learn about the SBA and connect with the local business community. Trustee Jane Veron and Mayor Dan Hochvert were in attendance to introduce the Board of Directors and Executive Director, Darci DeMatteo.